Please click on these three photos for a larger image. Top view. 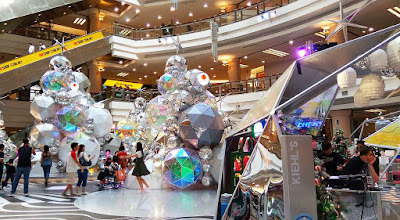 Do you like this Xmas decor? Today is day 15 of a lunar month so we will be having vegetarian lunch at The Good Co. In the menu, the rice is blue in colour. The millet served to me that day tastes like their healthy chicken millet (acting as rice). Instead of having coconut oil taste, the millet tastes like chicken rice but I am ok with it because the millet is tasty. I did not pour the healthy sambal into the cup. Instead I gave it to my friend and just ate the healthy nasi lemak as it is. 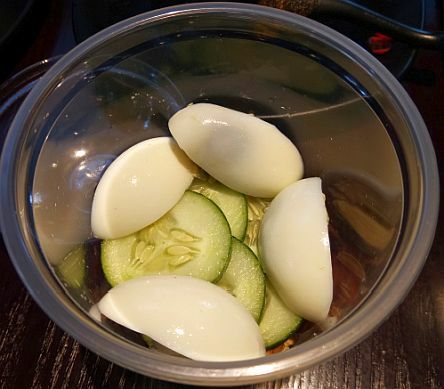 After finishing the salad leaves, I can see the 4 quarters of a hard boiled egg and the layer of cucumber slices. 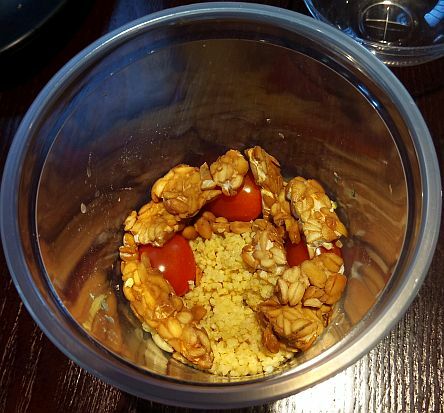 Then it was a layer of tempeh, roasted peanuts and cherry tomatoes. At last I reached the bottom layer which is the millet (chicken rice) layer. The portion was large so I shared half of the millet with my friend. 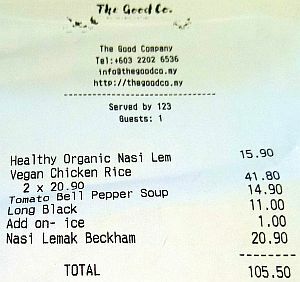 Total Bill: MYR 105.50 nett for 4 pax so on average it was MYR 26.375 nett per pax. 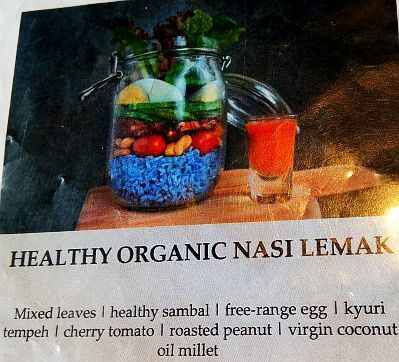 I like to try this healthy organic nasi lemak too, especially with the sweetish peanut sauce. I am eating vegetarian tmr too, on lunar 15. So you're vegetarian on Chap Goh Meh too? I may eat a vegetarian dish or more on that day. Nice decorations. If I were to eat the nasi lemak, I would prefer the nasi lemak served on a plate. The nasi lemak will not taste like nasi lemak with the sambal. taste more like satay the sambal. 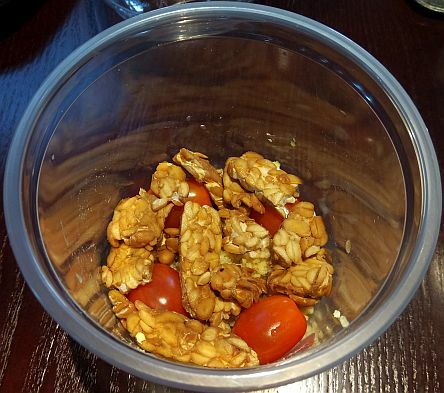 Hmm this 'meal in a cup' is a new style. I would prefer the old fashioned plate though. I saw those Xmas deco while on my way to the toilet. Didn't manage to get down to take photos though. 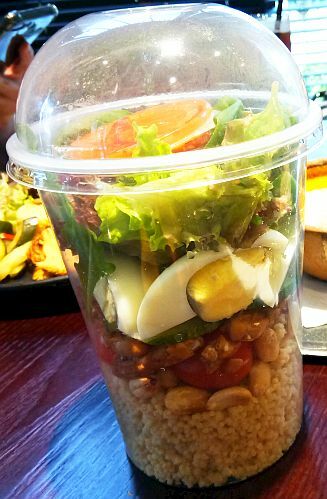 meal in a cup is meant to be eaten on the go. 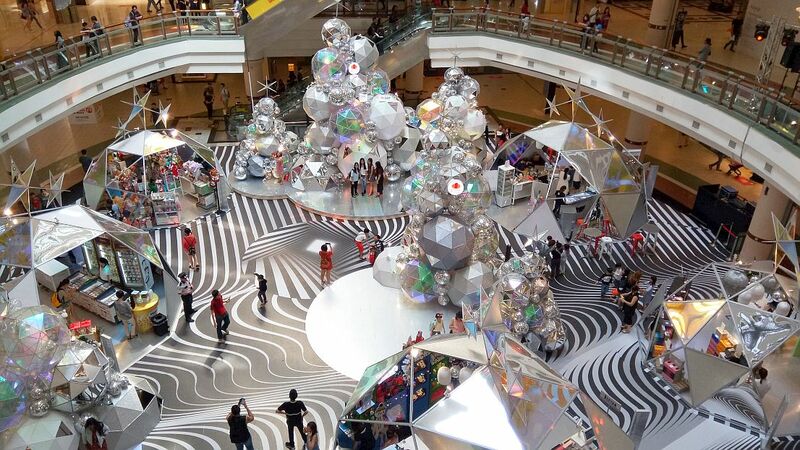 oh, so you are working in one utama now? for ibm? No I'm not working in 1u (though I'd love to!). Was shopping/lepaking as usual. Hahaha, it is a nice mall to shop and lepak.